win in the men’s 65-69 event. IT HAS been almost half a century since Margaret Buck took part in the Tokyo Olympics. K1 Masters Over-70 event at the Canoe Marathon World Championships. As the only participant in that age group, Buck was always guaranteed the win upon completion of the 12.6km race. That, however, did not stop her from passing the finish line in 1hr 53min 2sec, ahead of both participants in the 60-65 age group. “I’m disappointed that I couldn’t be consistently fast,” said Buck, a finalist in the women’s K2 500m at the 1964 Olympics and the owner of more than 30 Australian championships. That is why she refused to let a respiratory infection upset her race plans in Singapore. She had been unwell for six weeks leading up to these championships. “Every year, there will be a reason for you not to do something,” said Buck, who had set her sights on competing at this competition five years ago. 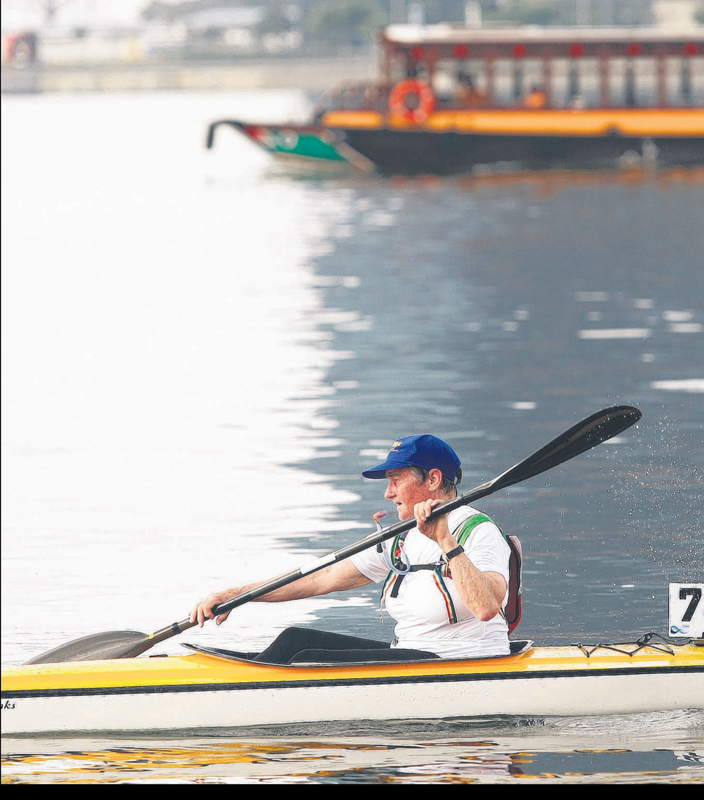 Compatriot John Newton, the oldest male participant at 67, also proved that age is no barrier. He won the men’s K1 Masters 65-69 age group, covering 17.2km in 1:44:11. “I’m as excited about racing now as when I was young,” said the grandfather-of-five, who will race again today in the K2 event. The motivation that prompted New Zealand’s Keith Alderson to race in Singapore was very different. The 58-year-old had not planned to compete in the K1 Masters 55-59 age group until the Christchurch earthquake struck in February. He emerged the winner yesterday in 1:30:17. “If anything, the earthquake kind of made me think that I should come here to compete,” said Alderson, who took part in the 2005 and 2009 editions. Avon River, which had become polluted after the disaster. men’s K1 Masters 40-44 year-old category.